Operating as a camp under Skyline’s existing camp license and accreditation by the American Camp Association. Cognizant of current pre-school standards and objectives. 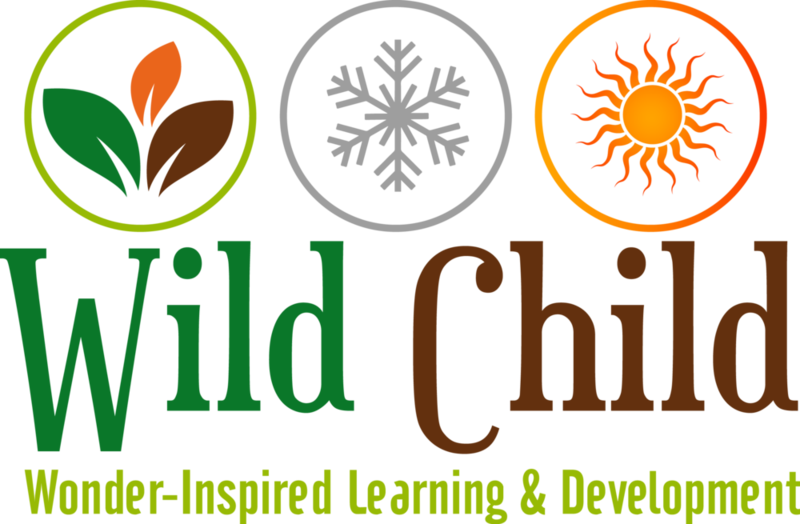 The Wild Child program offers 3- and 4-year-old children experiential learning through play, sensory, gross and fine motor activities, and creative expression. 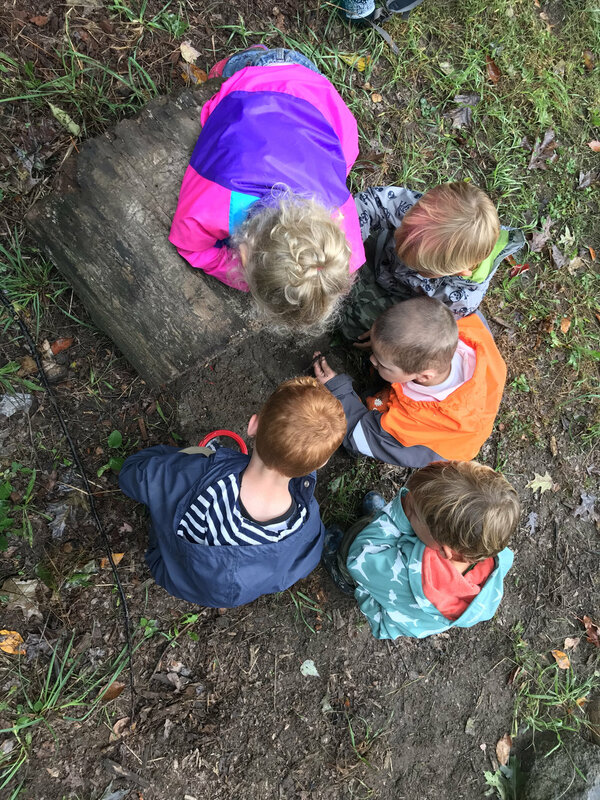 Wild Child campers use the natural world as a learning environment that meets their developmental needs. 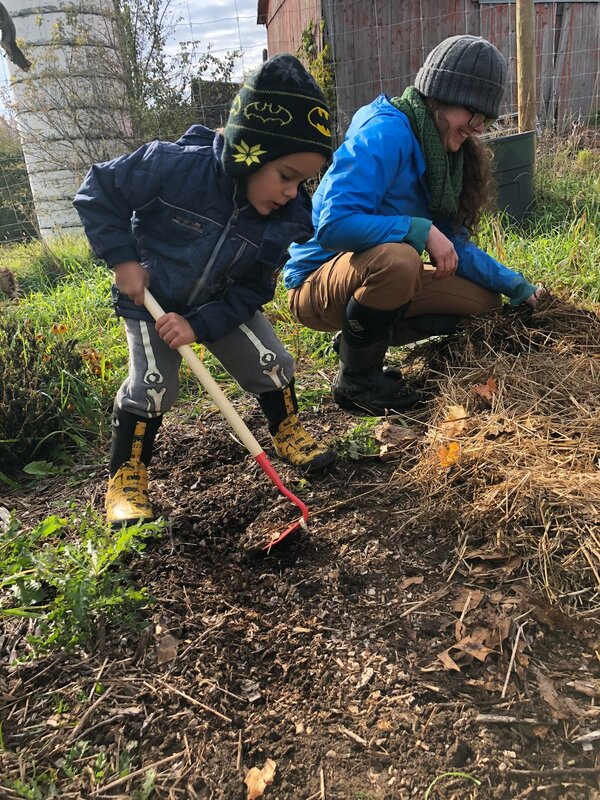 The program aims to spark children’s life-long meaningful connection with the natural world. The program includes natural science exploration, music, art, social and cognitive skill development. 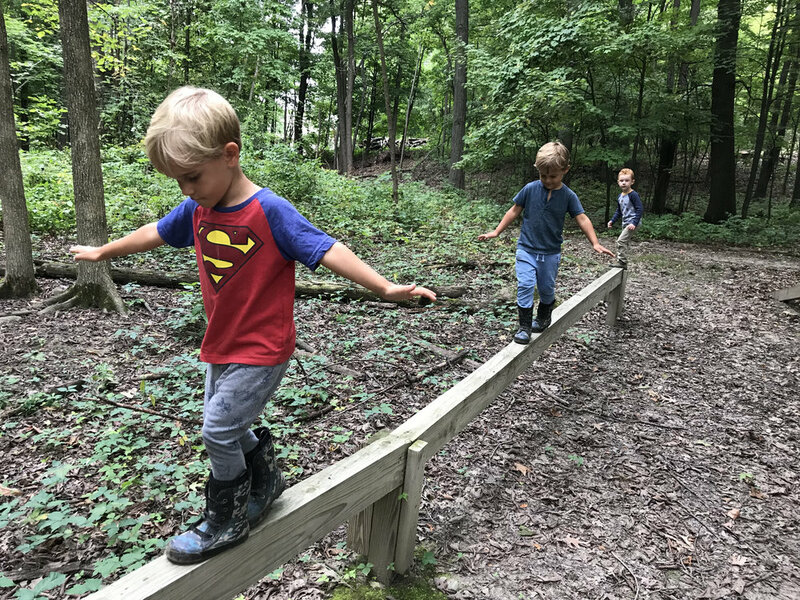 Skyline’s pond, wildflower hill, labyrinth, farm, and woods are our classroom. 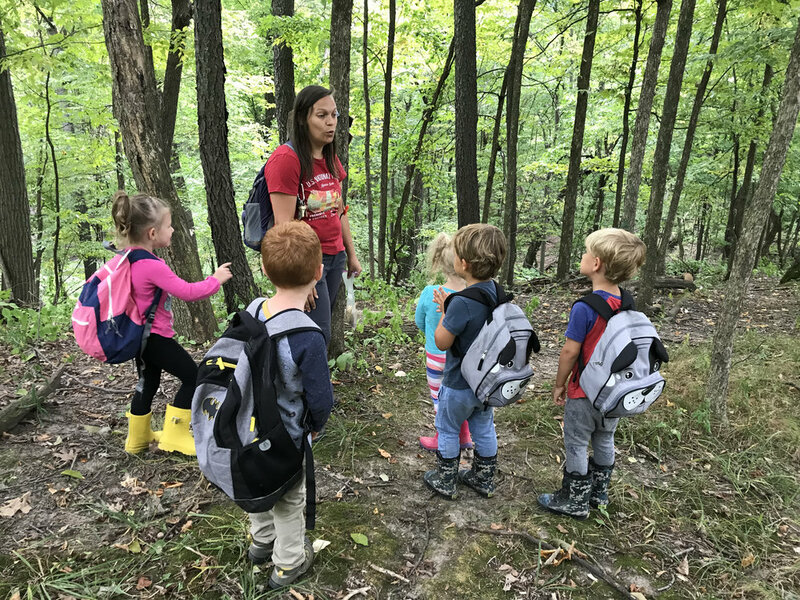 Campers will build their knowledge through first-hand experiences with nature and relationships with peers and adults. This is a daily check in to welcome everyone, sing songs together, story time, and share information that might be helpful for our daily destination. Each day will we walk to a place at camp. 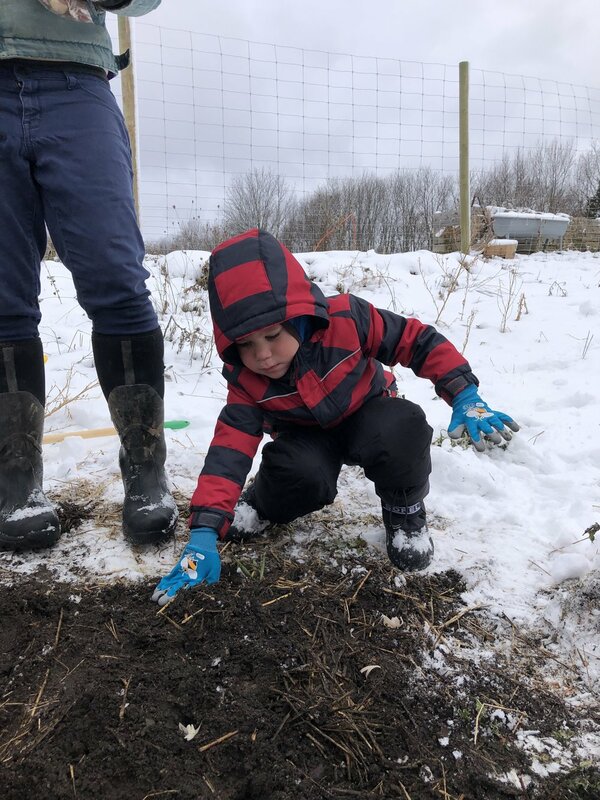 Primarily our daily destination will be going to the farm and working with the animals and in the garden. We will also take time to visit place like the pond, the labyrinth, wild flower hill, and just hike the trails and visit the trees. During this time there will be stations set up for the campers to visit. Stations will have a task for the camper to work on such as sorting activities, crafts, cooking, music and movement, and theme specific activities. This is a time for the children to play within the boundaries of the Zone. They can build things out of natural materials, dig in the dirt, use the sports equipment, play at the potion station, etc. This is transition time. Campers will be given time to use the restroom if needed before we begin walking to our destination. As we walk (if time allows) we will stop and look at things we find along the way. The snack will be provided by Skyline. The campers will help us prepare them as much as possible. We will cater the snacks to any allergies we have and try and source the food from Skylines gardens when available. Please contact Erin for more information.